Centrifugal pumps can suffer from several physical and mechanical problems, including general and/or localised corrosion, cavitation or reliability linked with poor efficiency or performance. All these parameters may affect the power consumption of the equipment, increasing considerably its lifetime running cost. Apex has been offering coated pumps for many years to help minimise performance deterioration, this problem is a major consideration for pump users. One effective way, other than corrosion resistant alloys, to reduce the loss of equipment performance is to protect pumping systems using erosion/corrosion resistant coatings. 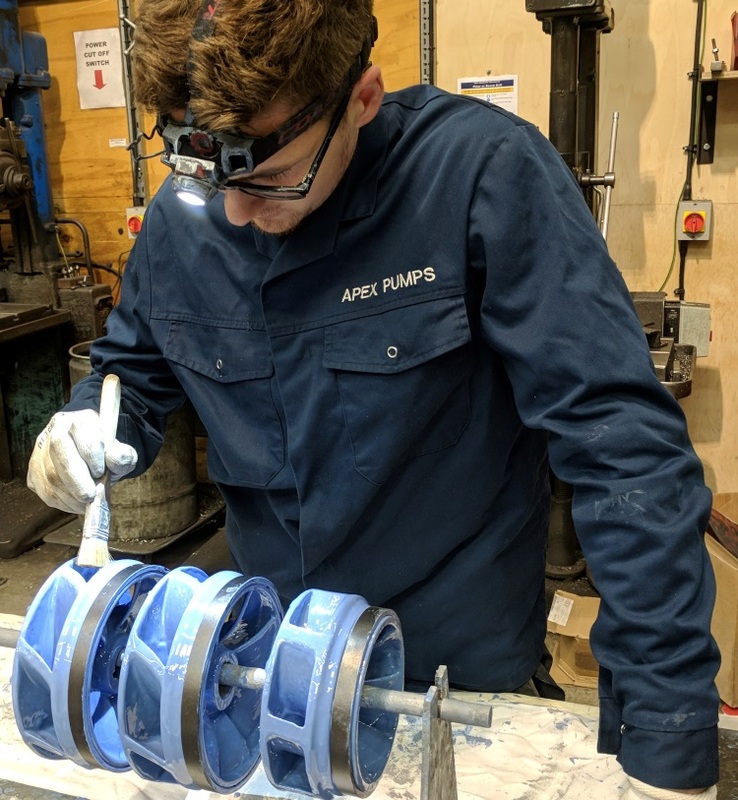 Apex has a wealth of experience in pump coatings and can offer a customised coating service to your exact requirements.Please enquire for further details.